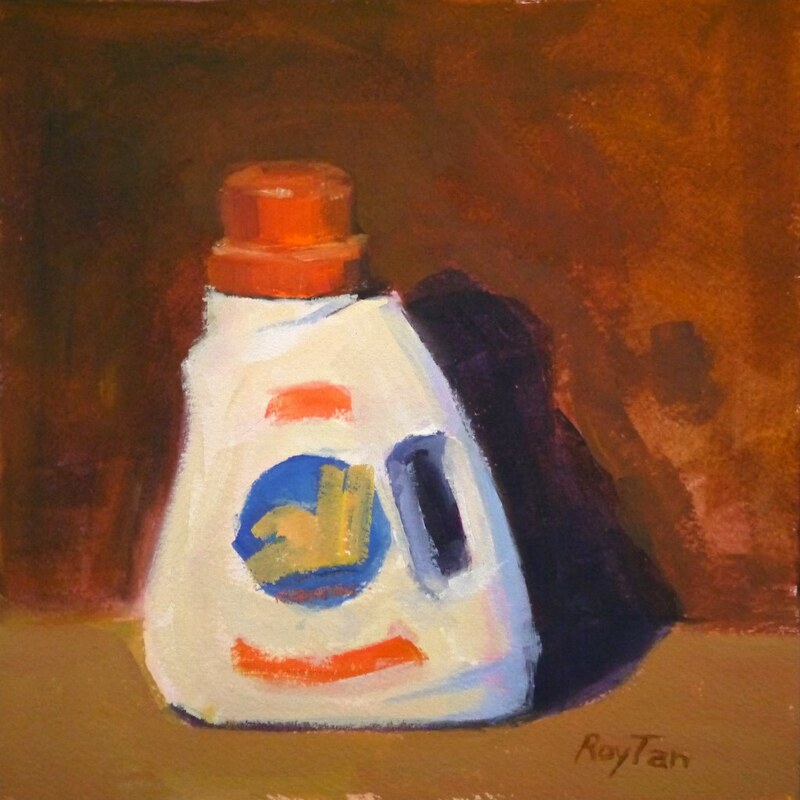 I was drawn to paint this bottle of detergent because of its interesting shape. You know, I think that most of the time you need to work with your natural inclinations rather than fight against them. This time I used my natural inclination to procrastinate on house work by painting instead of doing laundry.